Biking is always one of the most amazing pleasures of life, but, for the enthusiasts, it’s like an intoxicant substance, via which they can’t survive. Many of us, ride a motorcycle just for fun, forgetting the eminent part on which our life entirely depends upon. You’ve certainly heard of the quote- ‘It’s better late than never’. Unfortunately, for the young bikers, this is merely a phrase, which has no real meaning and for them risking life is like a moto racing game. In order to decelerate the bike, automakers impart various braking combinations to ensure proper safety and riding excellence. ABS, an acronym for Anti-lock Braking System is a technology installed in two wheelers as a fitment, which prevents locking at the time of braking. The basic function of an ABS is to adjust the pressure of the brake fluid, which, further maintains the traction even and avoids slipping of the vehicle. Though, the market for ABS is still in its nascent stage, but, it is anticipated that the same would witness a considerable development by 2020. 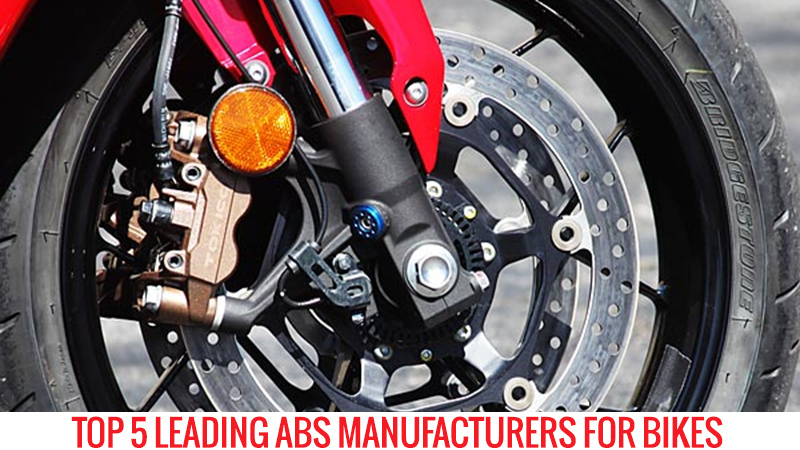 Listed below are the top 5 leading brands who are the makers of the global motorcycle anti-lock braking system (ABS). The Bosch ABS control unit on motorcycles is assigned the task of monitoring the speed of the wheels constantly with the aid of wheel-speed sensors. Basically, whenever a wheel gets locked hard on slippery roads, the ABS mechanism takes the responsibility to regulate the braking pressure, ergo, ensuring optimum braking. Moreover, the motorcycle tends to get easily managed even if there are bad driving conditions like sand or water. The driving stability and maneuverability of the bike is preserved. Next in the segment comes BWI (BeijingWest Industries), which has designed a DBC 7.4MC ABS system specifically for motorcycles. On a brief note, the technology is in charge of a specific modulator along with a pump motor. Both are packed inside the ECU in order to ameliorate the motorcycle packaging. The appliance provides extra security when the brakes are applied hard. In the conditions of excessive wheel slipping, the device electronically monitors the wheel speeds and detects the impending wheel skid. 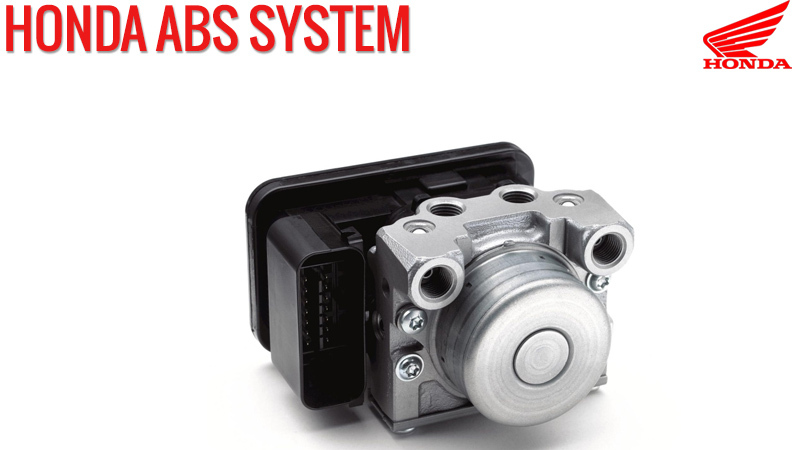 The brake pressure will be adjusted by the ABS modulator and thus providing smooth braking and stability. Panic braking always requires precision and control in vulnerable situations. 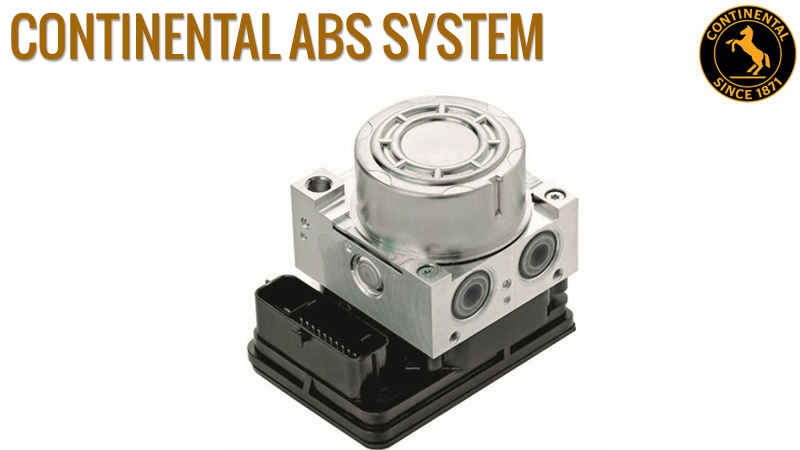 Continental is again one of the largest suppliers of automotive equipment worldwide and engineered ABS technology for many of the two-wheeler brands. To impart utmost driving pleasure to the motorcycle riders, Continental has provided electronic brake systems for motorcycles. MiniMAB One-Channel ABS: It is a tiny, lightweight module for small two-wheelers. 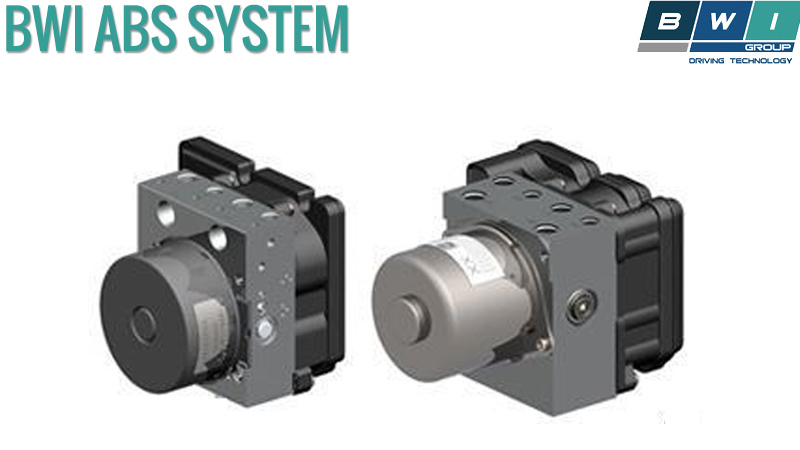 MK 100MB Two-Channel ABS: A two-channel ABS module provides an optimized control and thereby enhancing the driving protection with effective deceleration. 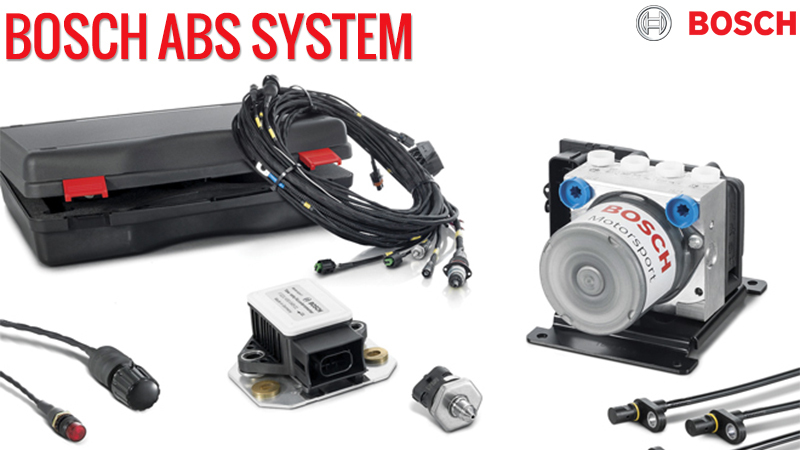 MK 100MIB Integral Braking System: This system ensures braking to both the wheels. Honda, holding the fourth position in the list has developed world’s first electronically combined ABS for the super sports bikes. For an all-new sports riding experience, the system electronically distributes power to the front and rear wheels, which facilitate smooth braking. As superbikes are built for high performance, they come with a short wheelbase along with the high center of gravity. The ultra-precise electronically controlled ABS delivers combined front and rear braking forces to reduce the differences in braking practices that vary rider to rider. It controls the brake fluid pressure, which in turn, prevents the locking of wheels. Consequently, the system is able to reduce the vehicle vibration and bikers can get ultra-smooth ABS braking performance. Last but not the least, ZF TRW’s anti-lock braking system aids in preventing wheel lock in emergency circumstances including the slippery areas. The functionality has got an additional service called dynamic rear proportioning in order to bestow required balance and handling at extremities. 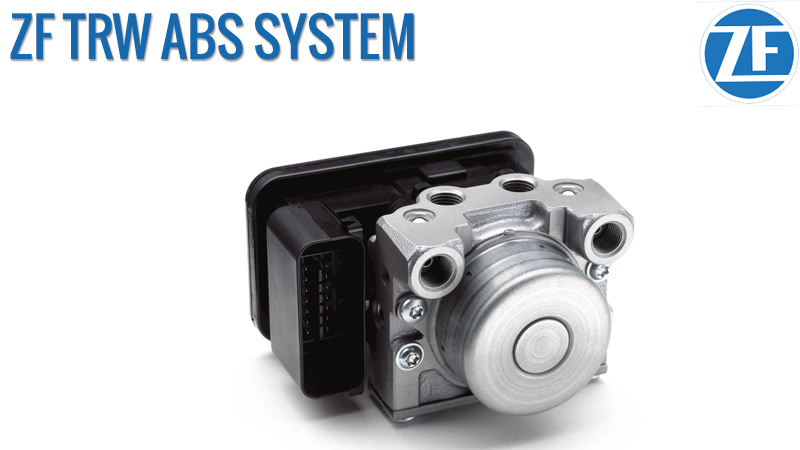 ZF TRW is known for manufacturing innovative ABS modules that stop the vehicles with more ease. The company is a world leader in pioneering electronic braking systems that deliver advanced functionality and excellent performance.